What is the highest point in West Virginia? If you answered Spruce Knob, you are correct. Located in the Monongahela National Forest, Spruce Knob is 4,863 feet above sea level, making it the Mountain State’s highest peak. 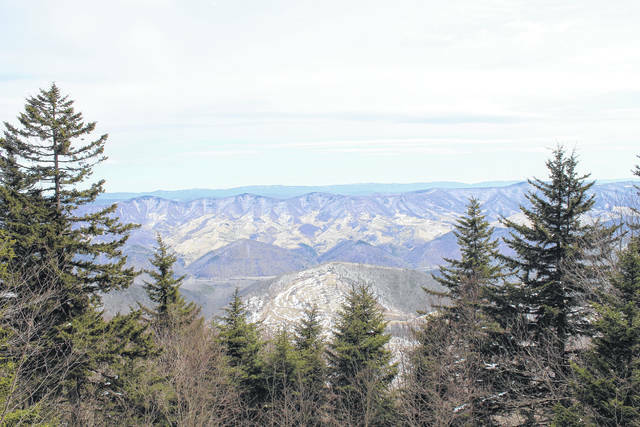 Pictured is a view from the Spruce Knob Observation Tower which provides visitors a 360-degree vantage point of the mountain they just climbed, as well as some valleys in the Potomac Highlands region of the state.